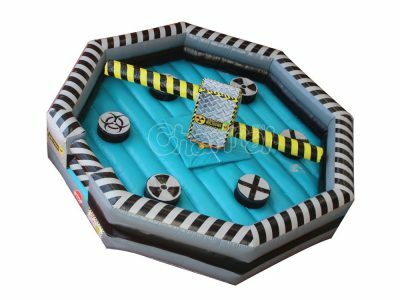 Meltdown inflatable is a kind of wipeout inflatable game, it is a game of jumping and ducking. 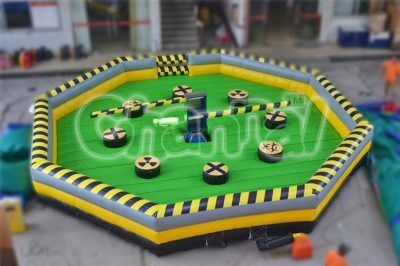 How to play toxic meltdown inflatable game? It needs at least 2 participants to start the game, each will stand on their own position. There are one or two sweeper arms rotating and sweeping all players. Everyone should really pay attention to those arms and when the arms almost arrive, jump or crouch to avoid be hitting by the sweepers. 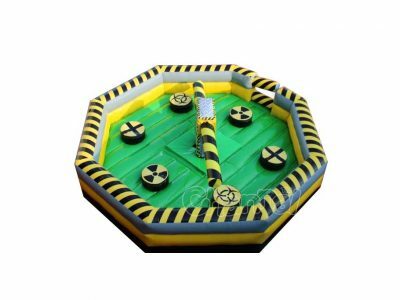 Just as its name indicates self, inflatable meltdown is generally painted with yellow and black colors, and there would be ionizing radiation warning symbols on the structure. Meltdown bounce house is fun and challenge for both adults and kids. 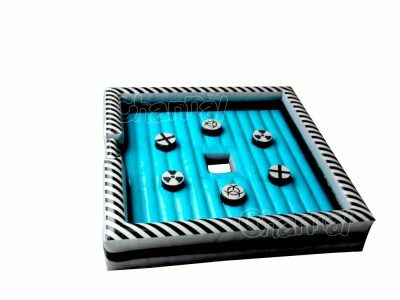 For adults, meltdown is a great group activity and also competition game. For kids, it helps they focus, flexible and activated. 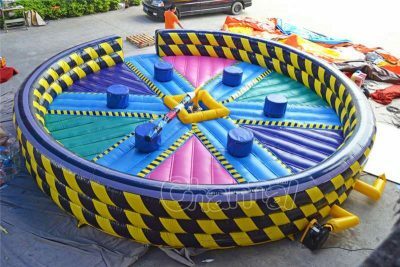 It is absolutely a versatile inflatable game fits for all occasions, such party, carnival, fair, church, corporate picnic, etc. 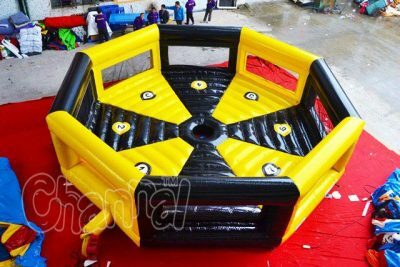 Channal Inflatables is a professional meltdown inflatable manufacturer in China, we also manufacture other wipeout eliminator inflatables at cheap prices. Contact us for your own custom units.